OK, a momentary brief respite from photography for a great video and a rock lesson for any of you 'young folks' out there. From time to time I do like to share occasional non-photographic finds. I hope I haven't posted this here before, but if I did it must have been years ago. Sometimes I forget what I have and haven't posted! 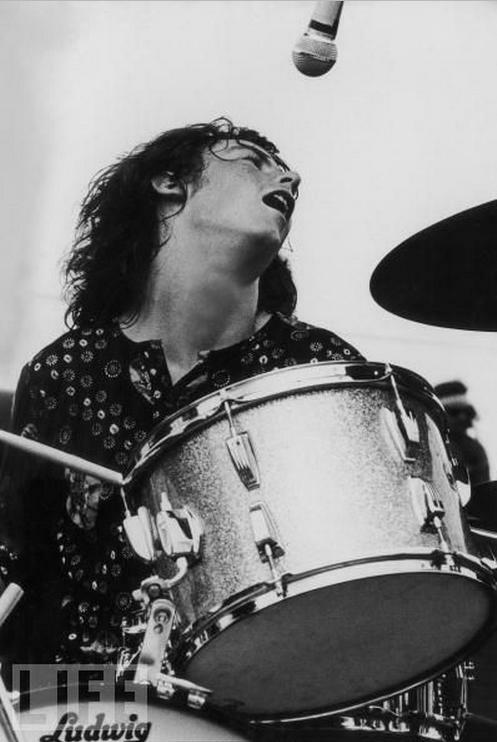 In 1969 Michael Shrieve was the drummer for Santana. He also happened to be, at age 20, the youngest musician playing at Woodstock. So what do you do when you are the youngest at the festival....you play your heart out with an amazing drum solo that goes down in 'rock history', that's what. This is really an enjoyable video (though I don't particularly love the split screen) and one of the few that show's Shrieve's full solo (the others I have seen edit it down to just a few seconds), I assume because the song is a relatively long one. His solo starts at 3:05 on the video, but wait, c'mon, don't skip there; you have time to watch the whole thing! Interestingly, in an interview later in life (Santana himself was only 22 at Woodstock), Carlos Santana explained his contorted facial expressions during his guitar playing for his set (which is evident in the above video). Apparently, the band was actually scheduled to go on stage in 12 hours when he took LSD, but, oops, a switch in the schedule and your're on now. He said that he thought the neck of his guitar was an electric snake that was battling him and that this was something he would never do again. Here is his explanation (note in the music that follows the interview that the drum solo is essentially edited out). Neither image is mine....I am not certain who the photographers are.